Wong Fleming, P.C. is pleased to announce that Amelia T. Taylor has been appointed President of the Princeton Bar Association. Ms. Taylor is a senior associate in the Princeton office of Wong Fleming, and her practice emphasizes business litigation and labor and employment law matters. 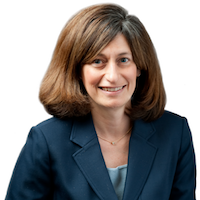 She previously served as Vice President and as a Trustee of the Princeton Bar Association. Amelia received her bachelor’s degree from Colgate University and her law degree from The Dickinson School of Law of the Pennsylvania State University. She previously served as a judicial clerk with the Commonwealth Court of Pennsylvania and as an Assistant Attorney General with the New York State Attorney General’s office. The Princeton Bar Association is one of only a few local bar associations in the State of New Jersey. The Association’s rich history dates back to as early as 1947 and the first Constitution and By-Laws of the Association were adopted in 1950. In January of 1952, the Association adopted its inaugural ‘Schedule of Minimum Fees’ setting forth the minimum fees to be charged by the members of the Association for legal services. In 1992, the PBA was officially incorporated as a New Jersey Not-for-Profit corporation and has continued on as an entirely volunteer organization ever since. The Association offers a broad array of interesting continuing legal education seminars, networking and charitable events throughout the year. Wong Fleming is a nationally recognized, AV-Rated law firm that represents Fortune 500 companies and other corporate clients in the areas of Commercial Law, Corporate Asset Recovery, Creditors’ Rights and Bankruptcy, Employment and Labor Law, Environmental, Insurance Defense and Coverage, Intellectual Property, Real Estate, and Premises and Product Liability. The firm maintains offices in the District of Colombia, New Jersey, Pennsylvania, New York, Georgia, California, Florida, Texas, Washington, Illinois, Indiana, Michigan, Tennessee, Canada, Mexico, and Germany.